In my opinion wedding favours are a quite important part of a wedding. They are given to each guest as a way to say thank you from the bride and groom. You can get a mixture of gifts these day from chocolates, sweets and more traditional ones like sugared almonds. Others also give little presents. You don't just want to place these items onto a table, they need to fit in with your theme and design of the wedding. What better way to do this than use wedding favour boxes. Just like the favours themselves the boxes come in all sizes and shapes. 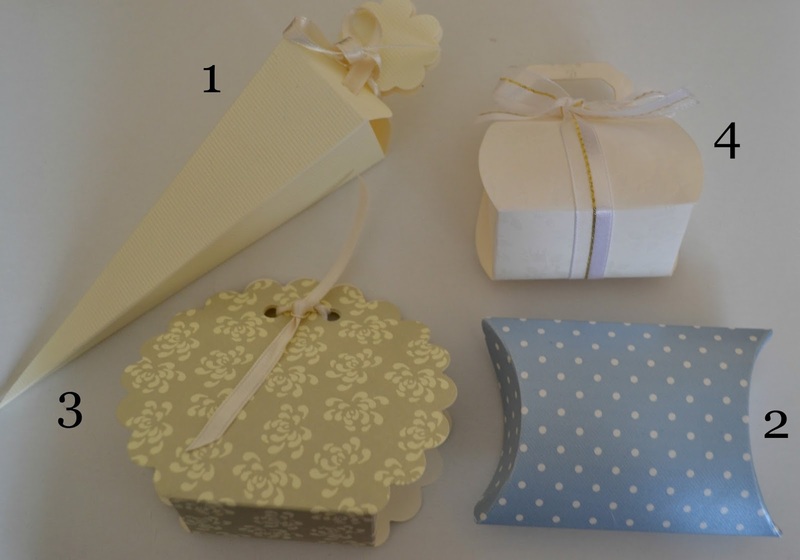 1) I love how simple this favour box is. The cone shape makes it perfect for sweets and this box can be personalised with the ribbon to match in with your other wedding decorations. 2)The next favour box is cute. Blue with white polka dots. The shape i find a little strange. I can't imagine many sweets etc fitting in the box. But the design and feel of the box is really nice. 3) This box is my favourite. I think its very pretty and would look perfect on the tables at a wedding. The scalloped edge makes the box look gorgeous, soft and pretty. You can personalise it again to match your theme so it fits in perfectly. The box itself is a little small and you couldn't really put sweets in them. 4) The last wedding favour box is cute as well. A little girly as to me it looks like the shape of a handbag. But it too had coloured ribbon and would look cute on a table. The boxes themselves are made out of thick card and are very sturdy and well made. The designs on them look really nice quality too. They start at £2.49 for a pack of 10 and go up to £11.99 for a pack of 10. There is something for every wedding and every budget. Paper Themes also have a fabulous selection of wedding things and specialize in wedding invitations. 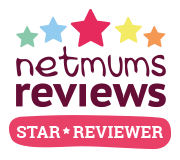 You can see my review of those HERE. They all look really nice! The blue one seems more appropriate for a baby shower or something similar though. I love number 4! Awesome wedding favors and these are looking very elegant. My cousin is tying the knot at DC wedding venues and asked me help him out in finding unique and interesting wedding favors. Now, I know what to tell him!